After having visitors interacting with your page, at the end of the day all that matters are conversions. A conversion takes place when a visitor on your site takes an action you care about and “converts” him/herself into a customer. This could be through filling out a form, completing a purchase, or by simply showing a high level of engagement with your site. This post will help you define and measure which traffic sources result in conversions using Google Analytics (Hence GA). With very simple steps you will setup a GA account and create some conversions goals so that you can track your customers data. 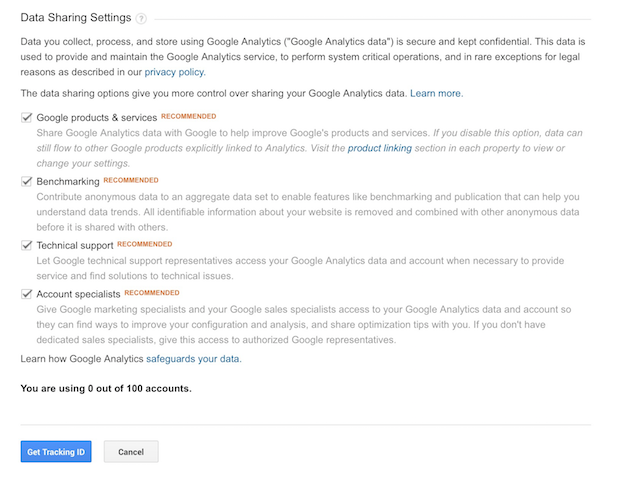 In order to use Google Analytics, you need to have a Google account. If you already have one such as Gmail, YouTube, or Google Drive, then you would want to set up your GA account under the same name. Otherwise, you’ll need to create a new one. Once you have a Google account, you’ll need to sign up for Google Analytics. Click on the Sign In link in the upper right hand corner and you’ll see a dropdown menu. Select Analytics. You’ll be redirected to a page where you can choose the Google account you want to use. Click on Sign Up. Then, on the next page, select Website and fill in your details, including Account Name, Website Name, URL, Industry and your Time Zone. Check and select all the boxes next to all the recommended options, and then hit the blue Get Tracking ID button. After this, you will be redirected to your Google Analytics account. Hurray! Once you have all setup in place, you need to add the GA tracking code into your site. You can also find this information at any time by going to Admin » Property » Tracking Info. 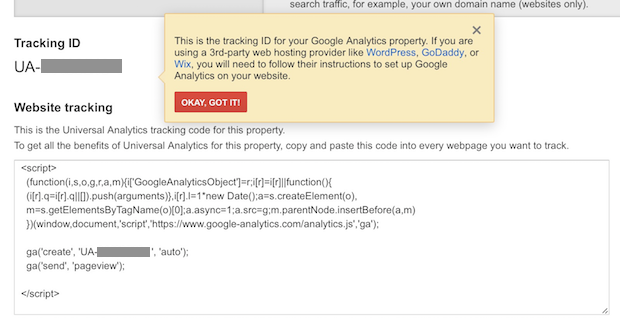 After you verify your GA Tracking ID and your Analytics tracking code, you can now add it into your web project. Tip: Just copy and paste this code into each of your pages and you are done! 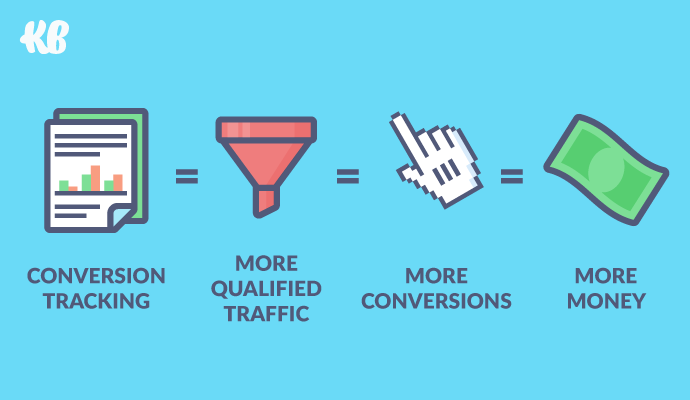 One of the common use of GA tracking conversions is to define GOALS. Firstly, generate a special URL that reveals the source of the click which customers will hit and finally create a list of rules that need to be matched by GA in order to track the conversions. 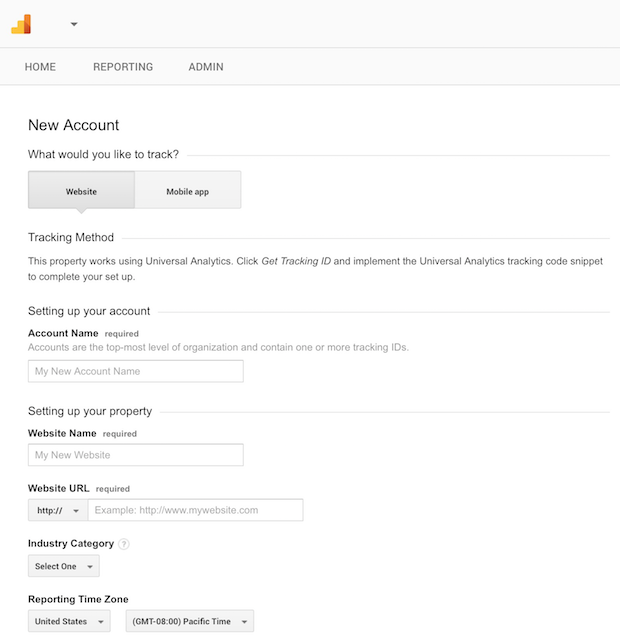 HOW TO GENERATE YOU URL: You’ll need to use the Google Analytics URL Builder to tag your URLs with custom campaign tracking parameters. Simply fill out the form by inserting your landing page URL along with the rest of the campaign details. This URL returned is the one that you should shared as part of your LinkedIn Ad in order to customers click on. For example: let’s track shopping cart checkouts. You can do this by setting up a goal that counts visits to the URL of the order confirmation page that customers see when they complete their order. Click on “Admin” in the navigation bar. Click on “Goals” under View. Once your goal was created, GA will automatically track it! Step 5. Check your conversions report. 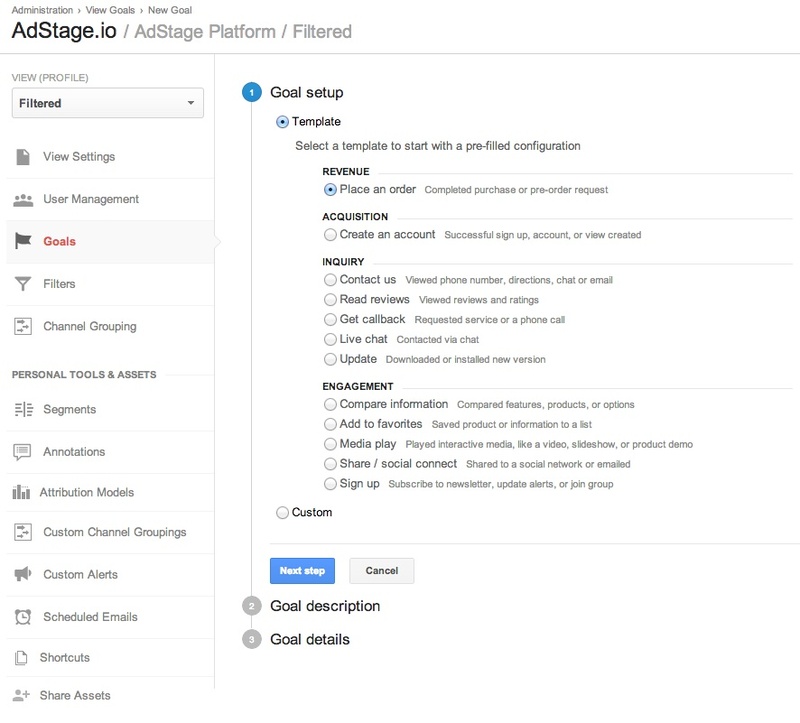 Access into your GA admin panel and go to Conversions » Goals » Overview to verify your accomplishment! And… That’s it! I hope this article has helped you to learn how to use Google Analytics to track your conversions.